...Rg Veda discloses secret of perpetual motion in very simple manner. When Indra was born world divided between two. For example, to our Vedic Rhisis even division of one object into two or many is a process of ‘energy creation’ as two or many objects, after their creation undergo continual interaction. The whole universe is interconnected in its parts within the whole which is greater than sum of it parts. ...Everything in the universe is composed of constantly changing energy within a pre established order. Any thoughtful and curious person, who contemplates the wonderful universe, will find that arrangements in nature are perfectly ordered. The planets are revolving in a systematic path around the sun. Even within the smallest atom electrons are encircling around the nucleus in a perfect manner. From the submicroscopic realm of the atom to the expanding reaches of the galactic objects, this material universe is running like a machine. A scientist thinks that it is running like a clock, on the other hand, perpetual motionist discovers that it is running like a huge perpetual motion machine according to great physical principle of perpetual motion. However, we cannot escape the conclusion that everything is working under the control of some supreme intelligence. All great philosophers arrived more or less at the same conclusion; it doesn’t matter much if they named the controlling agent in a different way Even Albert Einstein agreed that there is something behind the mystery of energy and physical laws. But we must note that use of ‘clock’ metaphor by the scientist and a ‘perpetual motion machine’ by the perpetual motionist makes a great difference. 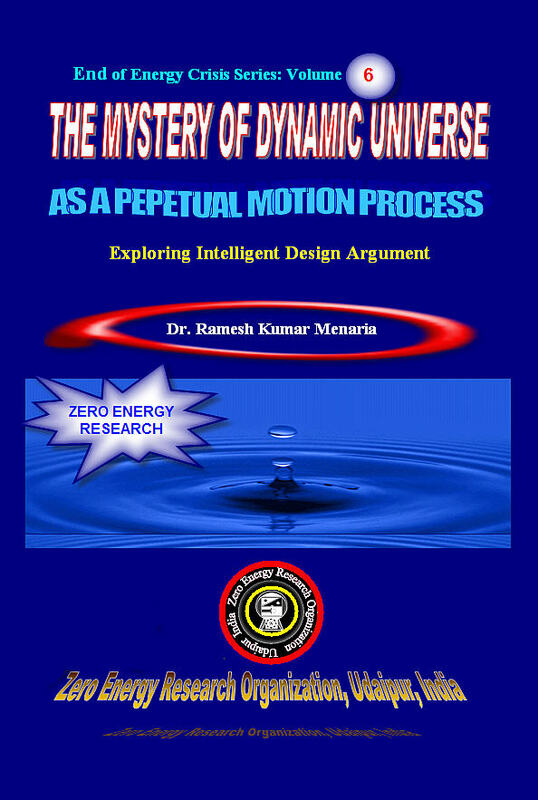 The difference being so great; we will see that its deliberations lead us to expose folly of law of conservation of energy and myths of science in an experimental manner. We shall return to this point later. In Bhagavad-Gita we find: “one should meditate upon the supreme person as the one who knows everything, as He who is the oldest, who is the controller, who is smaller than the smallest, who is the maintainer of everything, who is beyond all material conception, and who is inconceivable. He is luminous like the sun and being transcended, is beyond the material nature”2…..
5 IS SOLAR SYSTEM CHAOTIC? 5.2 Design or chance ? 7.1 No Flaws in Laws of Allah! 7.3 Our Universe: Fine-Tuned for Life?